Over 100 easy, delicious, keto-friendly bread recipes to kick your carb cravings to the curb. Following a keto diet is easier than ever, knowing that you no longer have to completely give up the foods that you love. With some simple modifications, you can still eat all of your favorite foods while remaining in ketosis. Keto Bread is the must-have cookbook for anyone searching for keto-friendly bread recipes to indulge in their cravings for carbs. Instead of turning to options that might prevent ketosis, this book ensures that your body will continue to burn fats instead of carbs while still enjoying your favorite foods. Learn how to make everything from sweet, pull-apart caramel monkey bread to a savory 3-cheese white pizza or satisfying blueberry pop tarts to a basic, delicious loaf of bread. Keto Bread will help you stay on top of your keto diet but allows you to enjoy a unique spin on the many different and delicious versions of bread out there. These bread substitutes replace ingredients like white flour with other keto-friendly options, such as almond flour, ensuring success in your keto diet endeavors. Faith Gorsky is a lawyer turned food stylist, photographer, and published author. She owns the food blogs AnEdibleMosaic.com and HealthySweetEats.com. 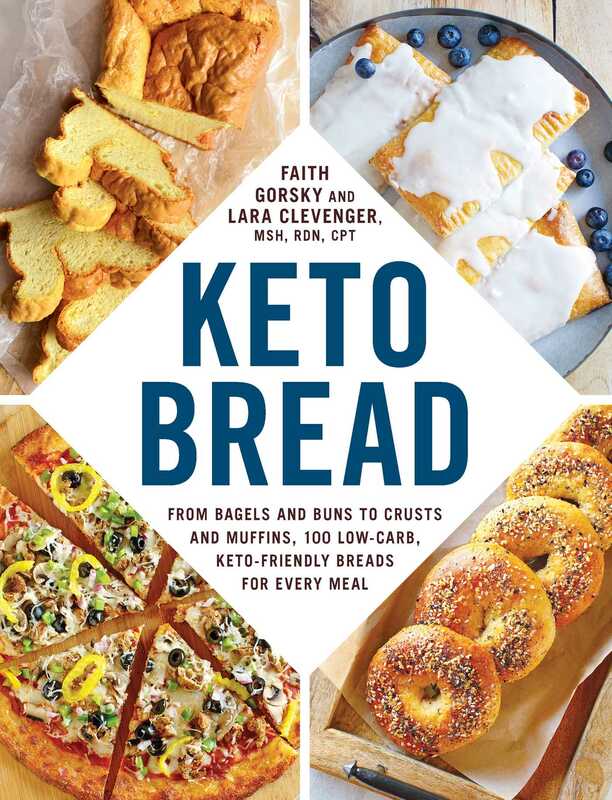 Faith and coauthor Lara Clevenger, known for their beautiful photography and delicious, family-friendly recipes, formed TheKetoQueens.com to simplify and demystify the ketogenic diet for real world success and health. Lara Clevenger is a Registered Dietitian Nutritionist, Personal Trainer, and Keto Coach; she has her own food blog at LaraClevenger.com. Lara and coauthor Faith Gorsky, known for their beautiful photography and delicious, family-friendly recipes, formed TheKetoQueens.com to simplify and demystify the ketogenic diet for real world success and health.